Before I get into what makes John Wick so awesome, I have to say something about the people who made it happen. Chad Stahelski has never directed anything before the first and second John Wick movies, but he does come from a background of intense action movie history. He only worked as a stuntman at first, an easy job for a former kick-boxer. In fact, his very first uncredited work was Keanu Reeves' stunt double in Point Break. His long career in this field granted him enough prestige to become stunt coordinator and martial arts choreographer, especially after working on a great range of movies, low budget action flicks to huge blockbusters like The Matrix and everything in between. He eventually teamed up with writer Derek Kolstad, who only since 2012 started his screenwriting career with low budget flicks (both of them starring Dolph Lundgren...). They somehow managed to secure about 20 million US dollars from Thunder Road Pictures and a few small production companies for the first movie, probably after they got talents like Keanu Reeves and Willem Dafoe on board. 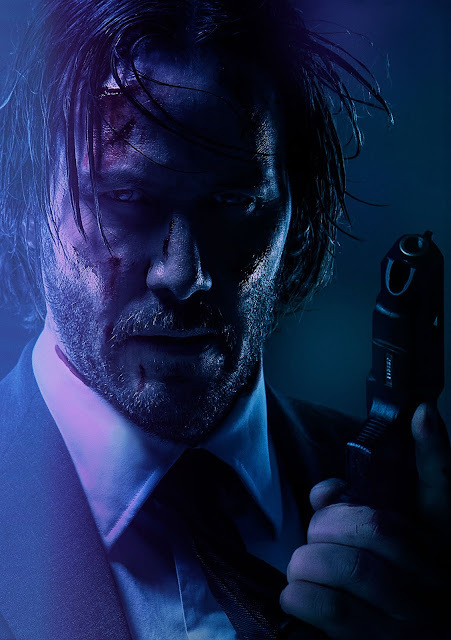 After a rough first weekend in a full autumn of 2014, despite hot critical reception, John Wick managed to double its revenue in just a few months, securing a well deserved sequel.